Carpet continues to be a steadfast option for residential and commercial settings. Why is carpet so popular? For one thing, it offers comfort that is unmatched. Our carpet selection features options that are stain resistant and can withstand everyday life in your home. Carpet comes in many different styles, and its comfort is unmatched. There are so many different colors, styles, and patterns from which to choose, so no design is considered off limits when you choose carpet. Direct Sales Floors Carpet One Floor & Home in Castro Valley is your local expert when it comes to carpet flooring. Our flooring professionals use our unique Select-A-Floor™ system to match you to a carpet that suits your lifestyle and personal style. We make finding a new carpet easy, and several of our carpets are made to handle even the toughest challenges. We at Direct Sales Floors Carpet One Floor & Home are proud to be your neighborhood experts when it comes to carpet. As part of our selection of carpet brands, we have Carpet One exclusives such as Relax, it’s… Lees®, Tigressá®, and Innovia™. To see our entire collection of carpet flooring, be sure to visit our showroom in Castro Valley, CA. Carpet is made up of fibers, and those fibers are derived from different materials that can be synthetic or natural. The different types of fibers can impact how a carpet looks, feels, and functions in your home. Carpet fading can be caused by several factors including foot traffic and sunlight. Follow the link below to learn more about carpet fading and how to prevent it. 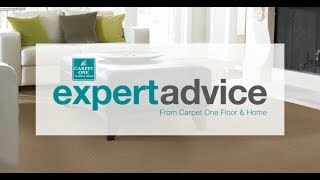 Learn about different carpet damage issues and what you can do to prevent them as well as how they can be repaired.